Travellers planning journeys via the French port of Calais need assurances that they will be properly safeguarded from harm following months of unrest in the local area. This is the view of the Road Haulage Association (RHA), one of the UK's leading transport management and logistics organisations, which has seen its own members and the public placed in a position of risk due to poor security measures at the French port in recent weeks. 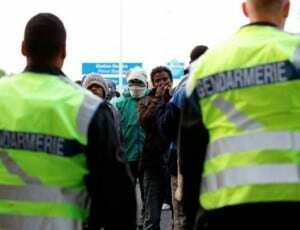 RHA chief executive Richard Burnett stated that more now needs to be done to expand security in the wider Calais area, as it is no longer just the port itself that is being targeted by illegal immigrants. "We remain of the firm view that an efficient, strategic security solution must be put in place to allow the safe and free passage of trucks through the Calais area," he said. "Until then, those intent on crossing the Channel illegally will simply move further out and concentrate their activities on the approach roads." Mr Burnett added that a present respite from the scenes of thousands of people attempting to breach security measures at the port of Calais on a nightly basis is the perfect time for local authorities to step up their security in the surrounding areas. Travellers across the south-west of England have seen considerable delays in recent weeks due to the backlog of vehicles attempting to cross the Channel, but with new measures to take vehicles off stretches of the M20 in Kent this issue now appears to be subsiding.